Join us on this fun photographic adventure! Register soon before the early registration period ends and while lodging options are still available! 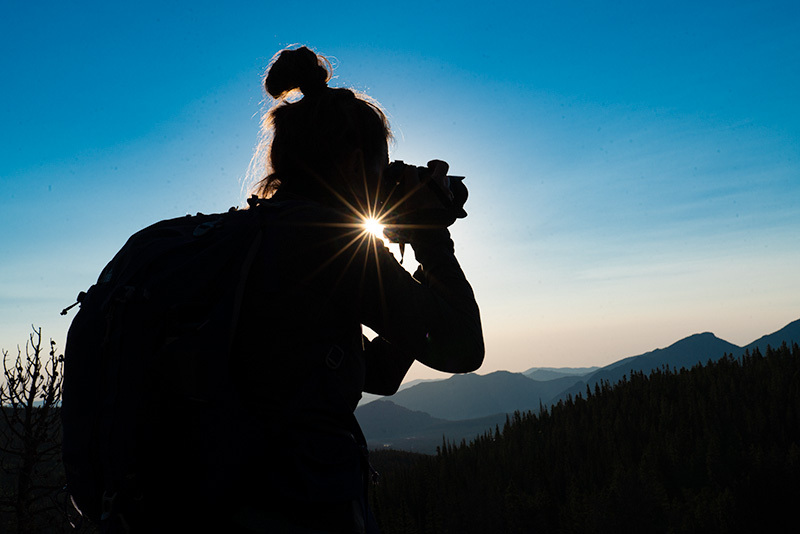 These fantastic photographic adventures are led by pro photographer Kevin Gourley in Colorado's Rocky Mountain National Park in the Summer and Fall of 2019! Over 40 hours of photographic adventures and learning (4 day workshop), even more for the 9 day option! Also two pre-trip meetings and a post-trip get-together. Before you sign up, make sure you check out our new optional class add-on options for more learning opportunities! Register early and SAVE UP TO $400! We think our workshops are great, but don't take our word for it! Scroll down to read what our participants say about these workshops! 4 Day Option July 6-9, 2019 1 SPACE LEFT! 4 Day Option July 11-14, 2019 2 SPACES LEFT! 9 Day Option July 6-14, 2019 1 SPACE LEFT! Special Early Registration Price for a limited time! Plus New Options Available When Registering! 4 Day Option Sept 14-17, 2019 2 SPACES LEFT! "A 5 star experience from beginning to end..."
"The workshop was outstanding because we had total access to Kevin and Gail's knowledge and experience in photography. We were presented with multiple shooting locations and lighting situations from which to learn. Kevin was always available to provide advice and help resolve any problems with camera settings or answer questions. The availability of daily photo reviews permitted one to make any adjustments to shooting techniques before the next day. This was the most hands-on learning experience I have had and I look forward to more with Kevin." 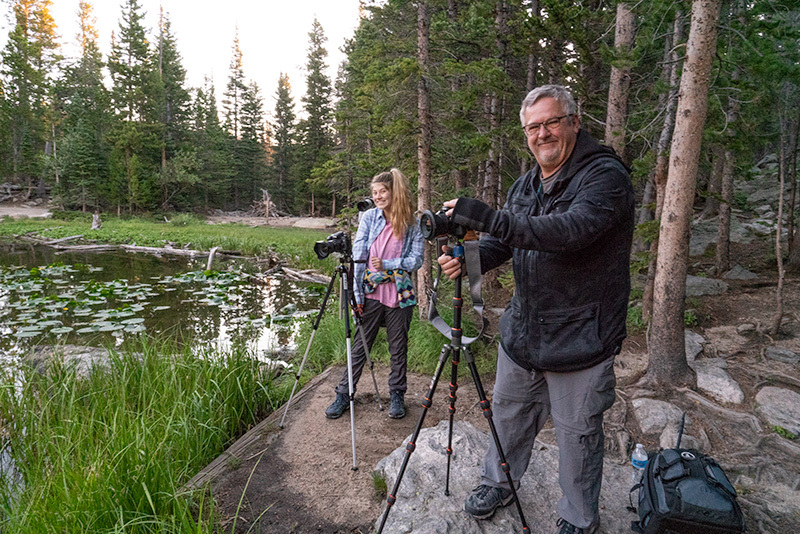 "This workshop provided a broad depth of experiences in the RMNP because Kevin is so knowledgeable about the area and about the best way to photograph it. I really appreciated the care given to maximize each student's experience, no matter their skill level. I will definitely consider taking other trips with Kevin and Gail." "Could not be happier with how the workshop turned out. Everyone involved was so nice and easy to get along with. Kevin was an excellent teacher - patient, explained well, relaxed and never felt rushed or that I may be holding others back. It was very rewarding and would highly recommend Kevin’s workshops!!" "Kevin is a natural-born teacher and superbly facilitated the group while providing one-on-one attention. I learned a lot without feeling overwhelmed with technical details and had fun in the process. I highly recommend this workshop!" "This exceeded all my expectations!" 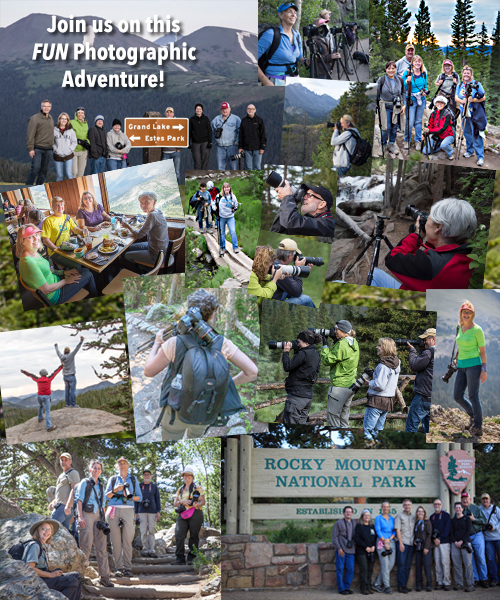 "Thanks for another spectacularly successful workshop in Rocky Mountain National Park! The conditions were even more challenging than last Summer, yet everything progressed flawlessly. We were at the right place at the right time to capture some incredible images. Thanks for everything!" Bring your photos to life! All of my students receive 15% OFF Topaz Products, plus one student in each workshop wins a FREE Topaz product! ThinkTank Photo - Inventive Camera Bags for All of Your Gear - The Choice of Working Professionals For all friends of Kevin Gourley Photography Workshops, follow this link to their website and you will receive a free gift with your order of $50 or more! Enjoy Activities with Other People Who Love Photography, Just Like You! "Well organized trip! Opportunities to see and photograph parts of Rocky Mountain National Park that most would never see or find. Kevin knows this park like his own backyard & gives you the best opportunity to photograph most all wildlife within the park." "The perfect place to learn by doing. 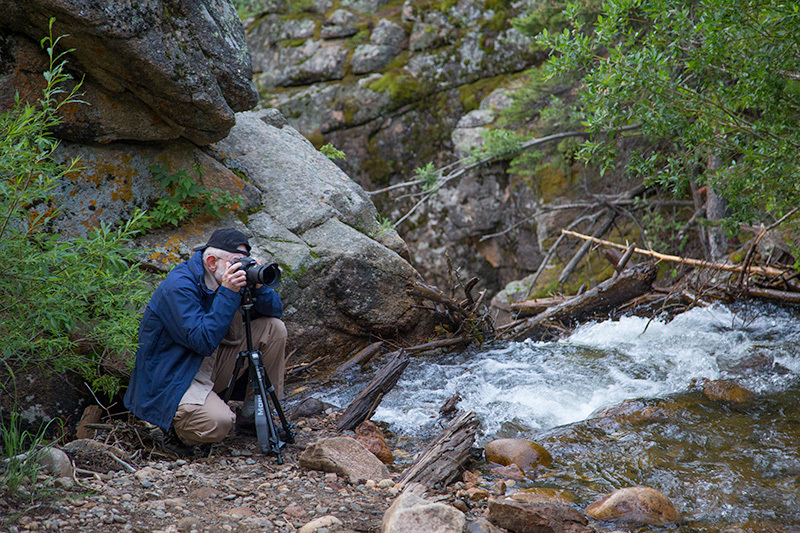 With Kevin's assistance you will learn to be a better nature photographer." "Kevin’s origination and flexibility to find optimal places to photograph each day plus the companionship among the participants." "There are many bests...the location, shooting awesome locations, being in awesome locations, shooting images to my heart's content with no one rushing me, learning the best settings to use to improve my images and getting know know great people." "Kevin's kind personality, helpfulness at every opportunity, exceptional info before the workshop began, great pre-planning and organizing on location." "Being guided by a professional photographer that knows the area and what time the lighting is best to get the perfect shot is amazing. The early mornings are worth it once you get on location and see the beauty without the tourists." "Kevin's Rocky Mountain workshop was a incredible opportunity to not only learn but to experience the magnificent scenery in the Rocky mountains"
"Kevin always got us in the right place at the right time... Focusing exclusively on photography for 4 days gave me a great opportunity to improve." "Kevin does whatever it takes to help us find whatever we're looking for, including moose. Kevin also handled all of the lunch and dinner reservations which allowed us to compare notes and bond as a group." "A wonderful combination of expert instruction and breathtaking scenery. Kevin and Gail provided an overall excellent experience. Met some amazing fellow participants as well." "This was my first workshop and I didn't know what to expect. I'm far from an expert with my camera and photography. Kevin was patient with his instructions and generous with his time. This was an incredible workshop!" "Our adventure far exceeded my expectations - and I expected a lot." "I have participated in a dozen workshops and you are the best organized leader I have ever experienced. Thanks." What I liked best about the workshop was... "Learning about my camera and all of the functionality that it has that were previously unknown to me. Kevin's highly competent approach was impressive to watch especially as he was getting "pulled" in multiple directions answering questions. RMNP was an outstanding canvass." ** Kevin Gourley is authorized by the National Park Service, U.S. Department of the Interior, to conduct services in Rocky Mountain National Park.